Easy One Click Ordering! Just put a 1 (or the quantity you want) in the corresponding quantity box next to each fragrance and click Add to Cart! Fragrance Oil Spray 1/2oz (refillable) - As Low As $2.95! Fragrance Oil Spray 2oz (Round-Refillable) - As Low As $3.65! Fragrance Oil Spray 2oz (Square-Refillable) - As Low As $4.25! 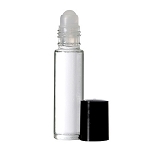 Fragrance Oil Mini Spray BASIC LABEL - As Low As $1.25!